Are you tired of sitting in your freezing car, waiting for the engine to warm up in the winter time? Sick of sweating buckets and burning your hands on the scalding steering wheel until the air conditioning gets going in the summer? If you’re ready for comfortable, convenient driving, it’s time to call Mega Watt Car Stereo and Security for a remote car starter. Remote starters are innovative systems that enable you to pre-start your vehicle so that the engine is warmed up and the interior temperature is comfortable by the time you get in! Great for both summer and winter in the Boston area, remote starters save you the discomfort, time, and hassle of sitting in your car or truck while it warms up. Remote car starters offer a variety of benefits for vehicle owners. In addition to ensuring that the interior temperature of your vehicle is comfortable before you start your commute, a remote starter can also increase the overall safety and performance of your car. In the winter time, turning the heat on with a car starter can make it much easier to remove accumulated ice and snow that would otherwise obstruct your windshield and headlights. Driving with a warm engine also makes the engine oil more viscous, allowing for greater lubrication and optimal engine performance. Using technology similar to keyless entry systems, remote starters can turn your vehicle on from anywhere within range (usually 500 to 1,000 ft.). So whether you’re in the grocery store, inside your home, or at work, you can turn the car on before you get in–by the time you do get in, the temperature is comfortable, the engine is warmed up, and you’re ready to hit the road. Our remote starter systems can even be set to run your engine at pre-programmed times (day or night) to ensure that your engine will start up no matter what the temperature! 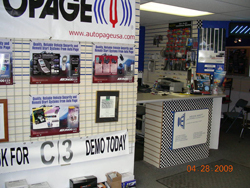 Mega Watt Car Stereo and Security carries a number of remote starter systems from Valet, Compustar, and other leading mobile electronics manufacturers. With features such as ignition-controlled door locks, dome light supervision, and comfort closure, our remote starter systems offer you top-of-the-line quality and comfort at prices that will fit your budget. In addition to our stand-alone car starters, we also offer remote car starters with keyless entry and models that are part of a comprehensive vehicle security system, so that you can receive the greatest possible convenience from our products and services. 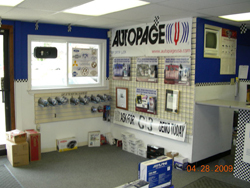 Our car starter specialists will draw upon our extensive industry research and 15 years of experience serving the residents of Boston in order to help you determine which type of remote starter will best serve your needs. To ensure that you receive flawless performance from your car starter, Mega Watt Car Stereo and Security is proud to offer MECP-certified installation on all of our remote starters. If you’re ready to experience the comfort and convenience that comes with a remote starter, call or e-mail us today to schedule your car starter installation. Our courteous, professional staff members will gladly answer any questions that you may have.